Undersecretary of Defense Industries İsmail Demir announced that the contract for the mass production of Turkey's main battle tank (MBT) Altay will be inked soon at a meeting in Ankara on late Thursday. In late April, it was announced that Istanbul-based armored vehicle manufacturer BMC was contracted for the mass production of Altay. 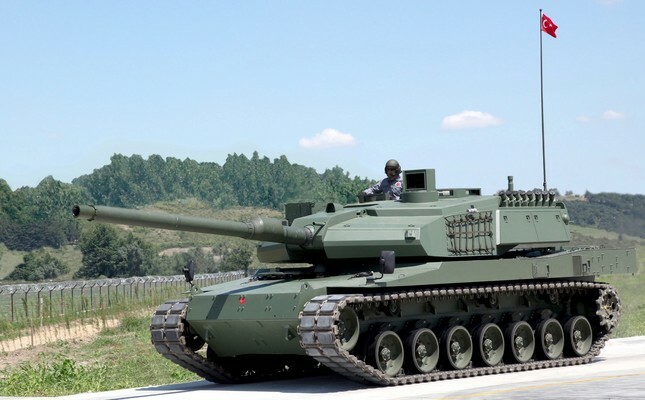 The deal to mass produce Turkey's first ever fully indigenous tank will strengthen the country's defense industry while creating huge economic value. Altay, which is set to become the Turkish Armed Forces' most important front-line vehicle, will contribute to the country's defense and its defense industry. The tank will be completely indigenous, with mass production likely to begin in late 2019 or early 2020. Starting off with 250 vehicles, the number will gradually be raised to 1,000, boosting Turkey's ground forces inventory to great extent. Meanwhile, the economic size of the project, to be spread over more than 20 years, is expected to reach $25 to $30 billion. The mass production phase of Altay will see the maximum contribution made by a number of local producers, including BMC, ASELSAN, ROKETSAN, and the Machinery and Chemical Industry Institute (MKEK). Classified as a "Third Generation Advanced" tank, Altay will be equipped with state-of-the-art technology, capable of providing all kinds of tactical support for a 21st-century army.